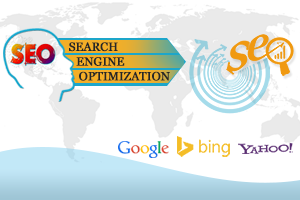 Search Engine Optimization can be described as a technique to improve or achieve a higher ranking of your website on the search engine results pages or SERPs for targeted keywords. Unlike search engine advertising, SEO is free to rank higher in the search results. SEO helps to increase traffic to your website and raise brand awareness. The best thing about SEO is that you can track the results and change your strategies at any point of time to achieve the desired rankings for your website and the targeted keywords that matter most to potential customers for your business. If you are a small or medium sized business based in Miami, search engine optimization of your website can help you achieve higher rankings and thus provide better customer visibility when your customers search particular keywords on the search engines. You can do SEO marketing for Miami based search keywords to gain popularity for your Miami business. In the future, if you expand your business to other parts of the country or other areas of Florida, search engine optimization can be used to generate relevant traffic to your website from those new locations as well. There are many on-page and off-page techniques that need to be utilized when search engine optimization is being done for your website. On-page optimization refers to improving coding, website structure and improving the quality of content on the website along with the insertion of certain keywords. This not only optimizes your website, but also improves the overall readability and user experience for your customers which are what the search engines want for its users and this will help in achieving better rankings. Off-page optimization, on the other hand, is about building the reputation of the website by acquiring backlinks to your website by means of external postings to blogs, articles, videos, pictures and social media content. It is like promoting your website on other channels. SEO is a continuous process as keyword trends constantly change making it necessary to refresh your content on a regular basis. Google also keeps updating its search algorithms which affects the ranking of pages in the a fore mentioned SERPs. Our professional search engine marketing company will help you in maintaining a high organic ranking in the search engine results for your targeted keywords. This will in turn help you in getting good visibility, higher traffic to your website and a higher number of legitimate prospective customers. If you are looking for a company offering services for SEO marketing in Miami or in any other city or state within the United States, Necessity Marketing may be the right company for you. Before selecting an SEO marketing service provider, you should consider the services and strategies that they offer and then make and educated decision. There is a myriad of search engine marketing services that range from search engine optimization, Google AdWords management, banner ads placement and management, social media content management and web analytics as well as other various services. It is important when determining which company to partner with to outline your business goals, set expectations and discuss any limitations your business may face before making your decision. Necessity Marketing offers you a free no obligation consultation and analysis to ensure that your goals and expectations can be outlined and then achieved. We are one of the leading companies in Miami for SEO Marketing. We have a team of experienced SEO analysts. Once we have discussed your goals, set expectations and addressed any limitations your business may face we can then suggest an appropriate solution for your business to achieve the goals we have set. Over time search engines have become smarter; they catch and penalize websites that use unethical practices. We abide by the proper guidelines and incorporate ethical white hat practices only to ensure our clients have healthy websites and will avoid any penalties associated with unethical practices. Our team stays updated with the changes happening in the search algorithms allowing us to adapt our SEO strategies when needed to be successful. We look forward to hearing from you and discussing how we can utilize search engine optimization to grow your business. Contact us now for a no obligation consultation and analysis.